The weird shadow force had played into my favored opening as White. Interesting… Perhaps it was a strategy of some sorts? Of course it played the most annoying move possible for me in this variation. It had left its pawn hanging! This move was definitely to get under my skin. I really don’t like getting attacked in chess and I tend to miscalculate. That’s when I woke up, next morning, with a perfect memory of everything that happened except the last move or moves. I saw a slip of paper on my nightstand- with the words SURVIVAL: kuxwjhlvwfel in my own handwriting. 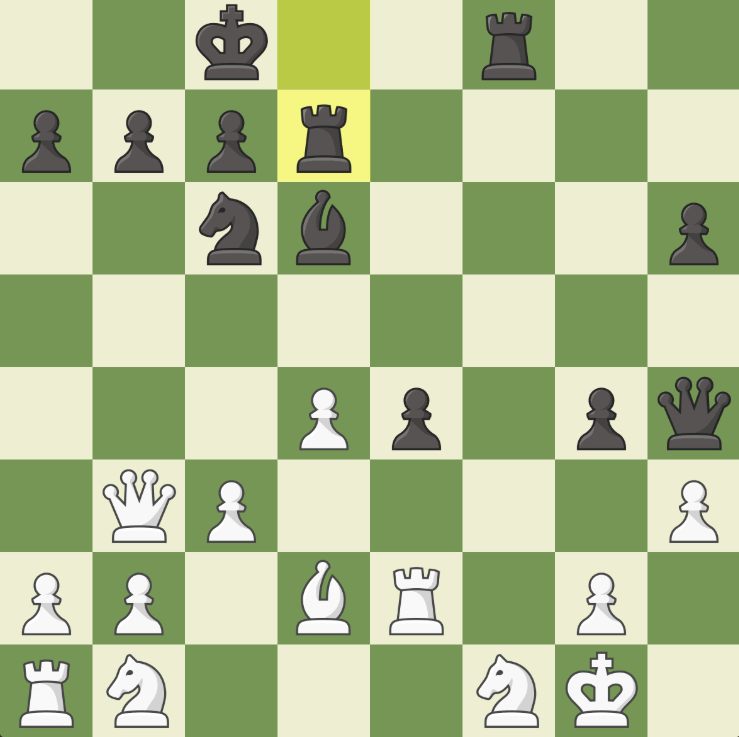 What was the last move or moves of the game? The story contains at least one clue. You don't always need to checkmate to win. One tag is the clue to a clue. The no-computers tag is only for the chess problem, not for anything you find in the story. He takes back 23... Rxf7, then 24. 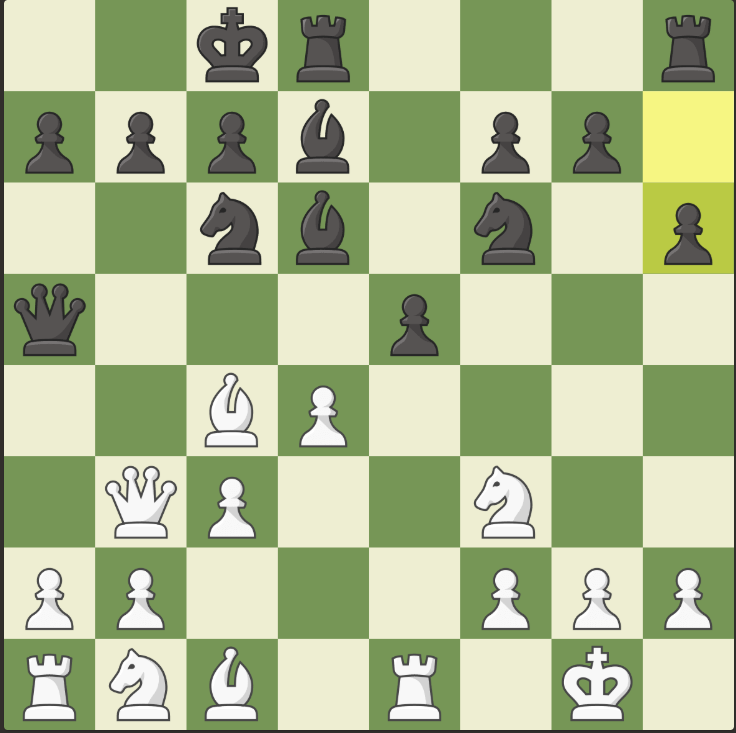 Bxh4 leaves him with the same material deficiency and queens off the board. 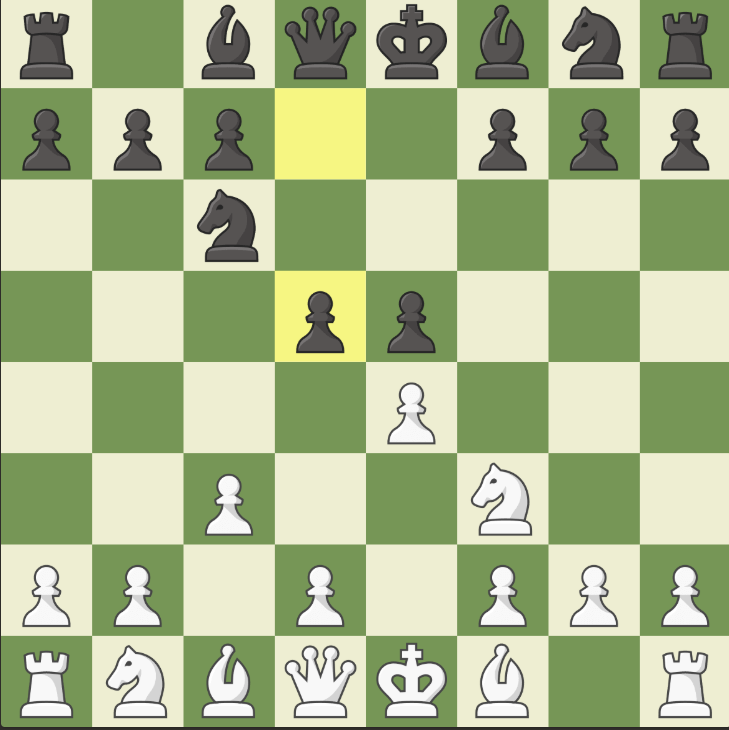 this should be an easy win for white. Just realized I didn't solve for the clue. I tried using chess a the key, but that idea didn't work for me :) EDITED TO ADD: As Gareth McCaughan points out, the key chess does create the word "interference" when using the vigenere cipher, which I didn't try. Not the answer you're looking for? Browse other questions tagged cipher story no-computers chess or ask your own question.